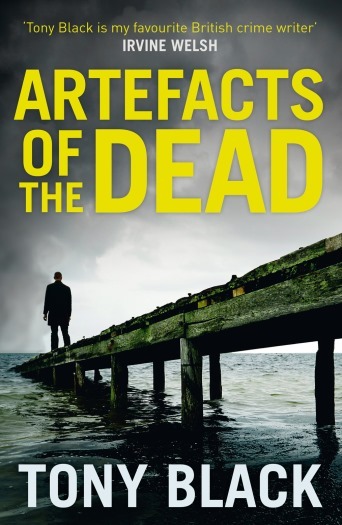 You no doubt read Crime Thriller Fella’s review of Tony Black’s Artefacts Of The Dead earlier in the week, of course you did. If you didn’t, serious questions will, I’m afraid, have to be asked about your commitment to this blog. Redeem yourself forthwith by scrolling down and taking a look at it now, or by clicking here. Now it’s Tony’s turn to endure The Intel Inquisition. He’s the author of a dozen novels, including The Last Tiger, about the demise of the Tasmanian Tiger. 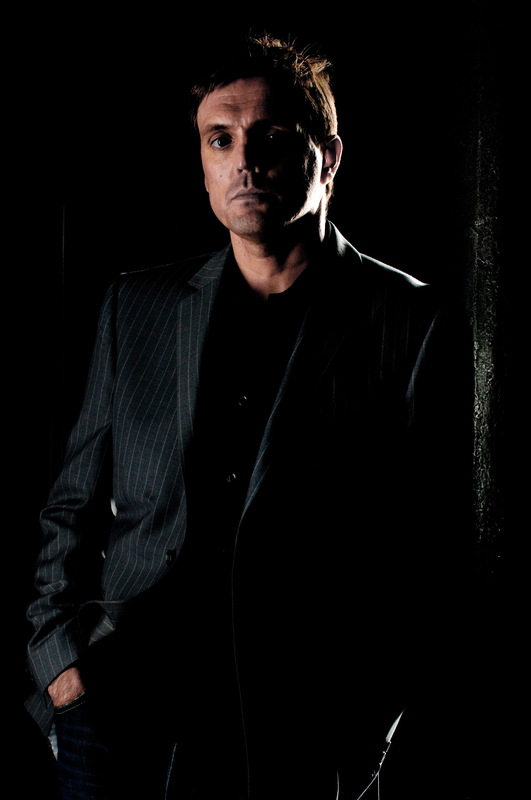 He’s also written a number of crime series featuring protagonists Gus Dury, Doug Michie and Rob Brennan. Artefacts Of The Dead is a procedural, and a character study of a man at the end of his tether. It’s out now in paperback, and on ebook, published by Black And White. Where to start? I suppose, on one level, it’s a murder investigation and a police procedural. There’s a serial killer on the loose, terrorising the scenic seaside town of Auld Ayr on the west coast of Scotland … but that’s not really what it’s about. It’s about a badly-bruised individual, a police officer who’s getting on and recovering from a near-fatal stabbing to the heart. He’s stared into the abyss and started to wonder what it’s all about. DI Bob Valentine is re-evaluating his life, the lives of others, and his place in the world around him whilst simultaneously trying to solve a grotesque, at times perverse, and possibly even supernatural murder. How would you describe your protagonist DI Bob Valentine? See the above for a taster. Bob’s cracking under the strain of the case. He’s a man approaching the end of his career and wondering what he’s achieved, he’s not looking for a last hurrah, but when the investigation reveals links to a child disappearance several years earlier his conscience tells him that someone needs to sort the mess out, and the only someone available is him. Poor old Bob goes through the wars in this novel, just like your other protagonists – why do you like putting your characters through the ringer so much? William Golding once said a writer’s job was to “chase their protagonist up a tree and throw stones at them”. Creating trouble for a character is what drives drama and tension, and it’s a lot more fun than having them naval gazing or collecting butterflies. You’re an extraordinarily prolific writer – what’s your secret? It might look that way at the moment, I’ve had three books out this year but a couple of them were written some time ago and Artefacts of the Dead was started a couple of years back. It’s just the way the publishing schedules have panned out. There’s no typical day at all really. Sometimes I write in the morning, sometimes I write in the middle of the night. I’m juggling writing with a one-year-old at the moment so setting any schedule is a complete waste of time. When I’m writing a new book, though, I do try to write every day, however little. I suppose that would have to be is that it really doesn’t get any easier. It’s all uphill, and a struggle. No two books are the same, they’re all like climbing Everest, just from a different route on every occasion. If you start to think it’s getting easy, that’s the quickest route to complacency and possibly the worst thing a writer can do. I love feedback. Writing is all about feedback, from the off. Agents, editors, reviewers. They all have their say and most of it is useful – if it’s not, you can always choose to ignore it. A thick-skin is an essential ingredient of the writer’s make-up, you wouldn’t last five minutes without it. Hemingway, Steinbeck, McCullers. More than any others I think they’ve all made me look at a part of the world in a way I hadn’t before. Beyond the most basic craft aspects, most writing advice is better to be ignored. I’m not writing at all at the moment, haven’t done since the beginning of the year and I think that’s going to continue right up until the end of the year. I’m researching a lot of subjects that interest me, reading tons and tons, but essentially letting the cistern fill up. I’ve got lots of ideas about what I’d like to write next, including setting a crime novel in America, but who knows what will finally pull me in. This entry was posted in Authors, The Intel Interviews and tagged Artefacts Of The Dead, Carson McCullers, DI Bob Valentine, DI Rob Brennan, Doug Michie, Ernest Hemingway, Gus Dury, John Steinbeck, The Last Tiger, Tony Black, William Golding on July 17, 2014 by Crime Thriller Fella.